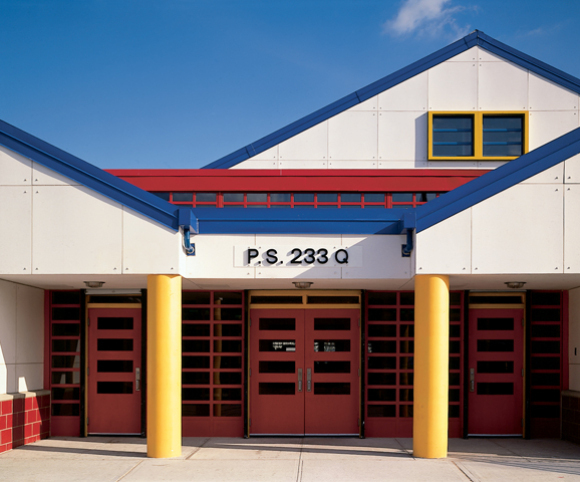 PS 233 is the first school specifically for severely handicapped children to be built in New York City. Comprising 17,000 square feet, this mini-school’s small scale and residential character blend with the surrounding neighborhood. To meet the client’s short timetable, the project was designed to permit simple, lightweight and fast construction. 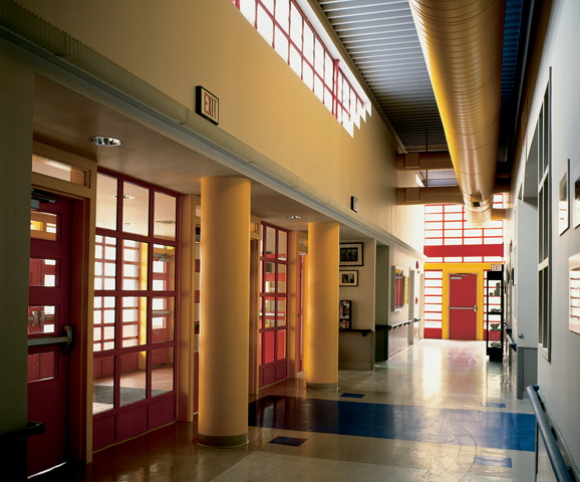 Colorful, familiar forms are used to stimulate and reassure students while a variety of special facilities and environments provide for their special needs.